Nicholasville Road Animal Hospital is your Lexington, Kentucky Veterinarian Clinic – taking care of dogs, cats, and other small animals since 1982. We take great pride in being locally owned. At Nicholasville Road Animal Hospital we strive to provide quality, preventative, and sick care to the best of our abilities in a kind and courteous manner with respect to the owners, co-workers, and pets themselves. 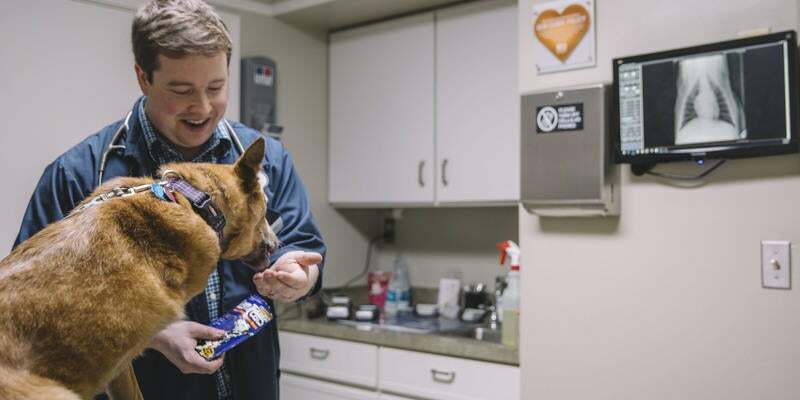 When you bring your canine companion or feline friend to our full-service vet clinic in Lexington, KY, you can take comfort in knowing that they will receive the best care available. We offer routine vaccinations, state-of-the-art digital x-rays, bloodwork, micro-chipping, many different surgical procedures, and many other routine services for your pet. We’re committed to promoting responsible pet ownership, preventative health care, and health-related educational opportunities for you. Our veterinarians look forward to serving you and your pet family.